← Remain to Reform: The ‘Corbyn Moment’ for Europe? The Eurozone is recovering from a long crisis; growth rates are turning positive across the Eurozone after a decade, business confidence is rising. Current accounts are balanced after the brutal adjustment in the periphery. The overall unemployment in the Euro area reached its pre-crisis level in 2017. This has been seen as a triumph. This current euphoria emerges paradoxically from the dust and rubble of the broken social and political contract within and between countries across the Eurozone. The break-up of the convergence illusion in the periphery and the backlash against the bailouts in the North raised diverse voices against the Euro project in the aftermath of the financial crisis. But the European Commission has recently set up a ‘grand reform’ agenda for a European Minister of Finance, a European Monetary Fund, and new Budgetary Instruments to win the hearts and minds of EU citizens for ‘a more integrated and performing Euro area to bring further stability and prosperity to all in the EU’. The Commission proposes a common Minister of Finance – to replace the president of the Eurogroup and the EU Commissioner for economic affairs – to monitor fiscal policies and enforce structural reforms across the EU. According to the Commission, his role is to ‘strengthen the coordination of national economic policies and ensure discipline and convergence’. However, a European Minister of Finance with the mission to enforce a set of existing fiscal rules – that have been unsuccessful so far – is bound to fail to improve the Eurozone’s poor economic coordination and structural asymmetry. The discipline of arbitrary ‘one size fits all’ fiscal targets cannot synchronise the business cycles in the Eurozone. This ‘business as usual’ approach to fixing the Eurozone’s economic disparities may force the periphery into a long-term stagnation, but will neither guarantee stability nor prevent a new crisis. In the same vein, the European Monetary Fund that provides financial support and safeguards for countries with accumulated public debt will not shield the union from a new asymmetric shock. This mechanism is not designed to reverse the trend of peripheral countries running current account deficits (i.e. due to imports exceeding exports) and needing massive capital inflows to sustain themselves. This trend cannot be reversed by brutal fiscal rules and monitoring. Liquidity injections at the point of crisis – although important – do not address the underlying roots of the upcoming crises. The third proposal for new Budgetary Instruments to ‘support reforms and convergence’ and to ensure ‘national investments levels are stable in the moment of crisis’ are designed in a way more likely to encourage countries outside Eurozone ‘on their way to joining the Euro’ than to mitigate the persistent disinvestment in the periphery and to shrink the technology and innovation gap within the Eurozone. A potential Eurozone expansion would make the union a larger market for the core states’ exports and a stronger voice in global competition with the US and China. But the inclusion of less developed countries would increase heterogeneity and asymmetry in the Eurozone and thus make the Euro even more fragile. Is this new architecture sustainable? The belief that those reforms ensure stability and convergence is based on shaky ground. This ‘grand reform’ does not improve the existing asymmetry – in terms of output, technological capacity, and innovation – in the Eurozone that produces new crises. Many countries in the periphery remain below their productive capacity struggling with high debt at 130.1 per cent in Portugal, 180.8 per cent in Greece, and 132 per cent of GDP in Italy, and suffering from a high unemployment that reached 19.6 per cent in Spain and 23.6 per cent in Greece in 2016. Growth rates are fluctuating, wages are stagnating, and investment remains low in the periphery, recorded at 11.7 per cent in Greece and 15.3 per cent of GDP in Portugal in the same year. The technology and innovation gap is widening. None of the proposals is designed to correct and prevent misalignments of productivity and competitiveness among the Eurozone countries. This ‘do more of the same’ approach based on brutal enforcement and discipline does not tackle the sources of the uneven development. The asymmetric production and trade status quo remain in place and continue to produce imbalances. The latter require large capital flows towards the peripheral countries that increase the private and public debt and open the path for instability. A Eurozone expansion will only upscale the existing problems. This ‘grand reform’ reaffirms the status quo. The widening gap within the Eurozone is the shaky foundation of this new architecture. For the moment the loud cheers overshadow concerns: however, this is a pyrrhic victory. Note: This article gives the views of the author, and not the position of the Euro Crisis in the Press blog nor of the London School of Economics. It is re-posted, with permission from the author, from openDemocracy, where it appeared under a different title (published under a Creative Commons Attribution-NonCommercial 4.0 International licence). Konstantinos Myrodias is a PhD candidate and Teaching Assistant in Political Economy and Development at the London School of Economics (LSE). His research focuses on the effects of the EU and IMF structural adjustment programmes on the Economic and Monetary Union. His research interests include industrial policy, structural change, and development banks. Konstantinos earned his BSc at Panteion University of Athens and his MSc at LSE. He has also been an OPAP Scholar at the European Institute at LSE, and has previously worked at the European Commission in Brussels. He was awarded scholarships from the Onassis Foundation. This entry was posted in Euro, Europe and tagged European Minister of Finance, European Monetary Fund, Eurozone, Eurozone architecture. Bookmark the permalink. 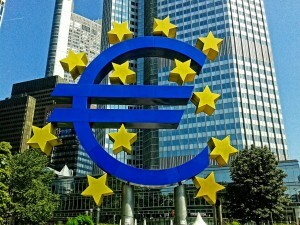 One Response to Could the Current Reform Plan Make the Eurozone Sustainable?